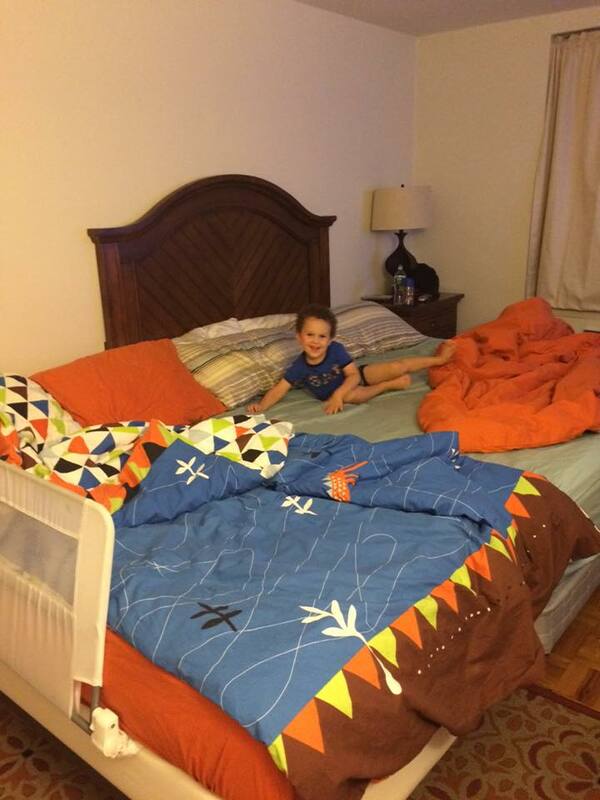 We went through countless sleeping arrangements with my first son, Jack. I knew he slept better when he was near me, but I feared bed-sharing. 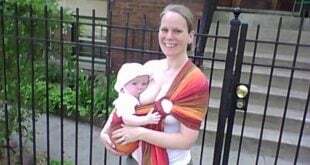 Once I learned more about co-sleeping, the benefits for both mom and baby, the protection against SIDS and the breastfeeding support, I was open to trying more things. 1. If I napped on the couch I made sure he was safe in a bassinet. I also pulled it to the bedroom to sleep in my bed at night. My son never slept well in the bassinet. 2. We decided to share a bed so we made a sidecar crib. 3. 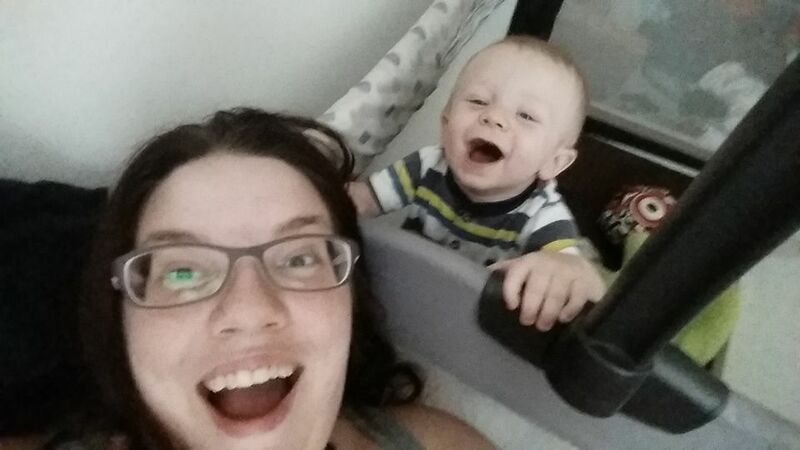 Once he started to crawl I was afraid he would fall out of the bed so we placed our mattresses on the floor. 4. The only person who ever slept in the crib was me! So we decided to simply get a twin mattress and make a giant family bed. 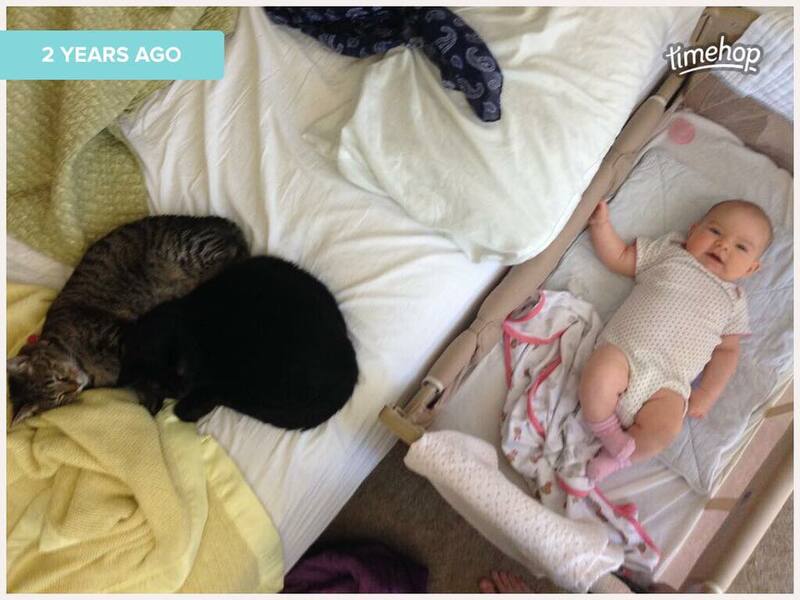 Bed-sharing became the right option for us, but only after tons of trial and error. Bed-sharing may or may not be right for you and you might be wondering what your options are! There are tons of options for sharing a sleep space with your baby. Once you know what the guidelines are for keeping the space safe then you can set up your own sleeping arrangement that fits your unique needs. Review the safe co-sleeping guidelines before setting up your own space. A quick reminder of ways to keep the space safe. Use a firm mattress and no fluffy blankets or pillows with babies. Never sleep with your baby on a couch or chair. No space between the walls where baby can slip. 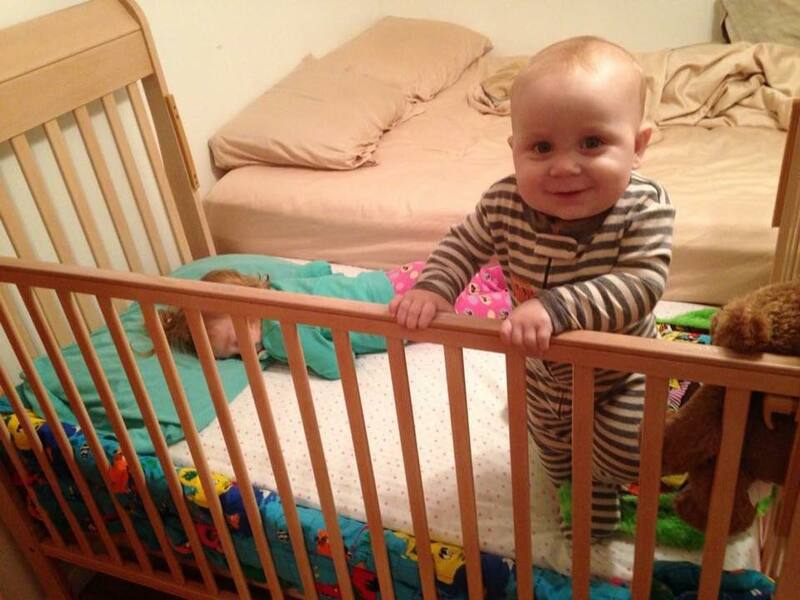 Babies should not sleep with older siblings. All adults should be comfortable with the decision to bed share. I have found that as my family grew my children got older the options were really endless. 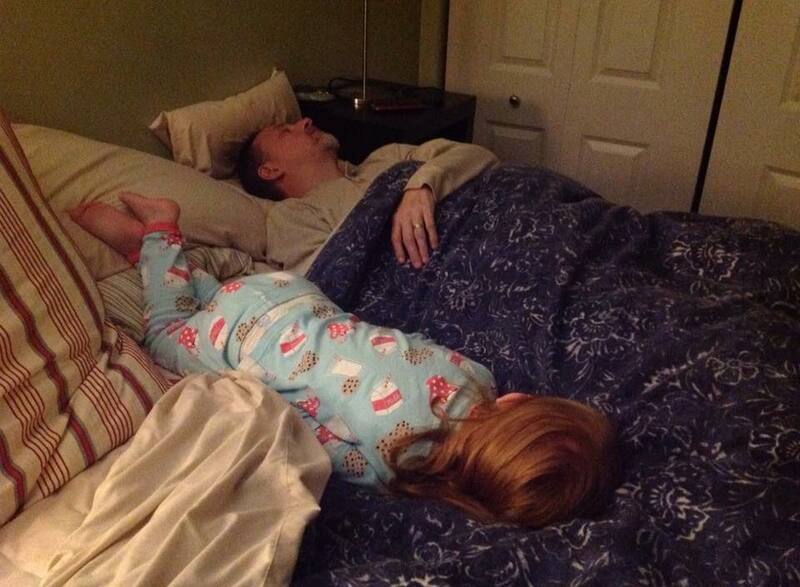 Our family bed is one of our favorite things about parenting. 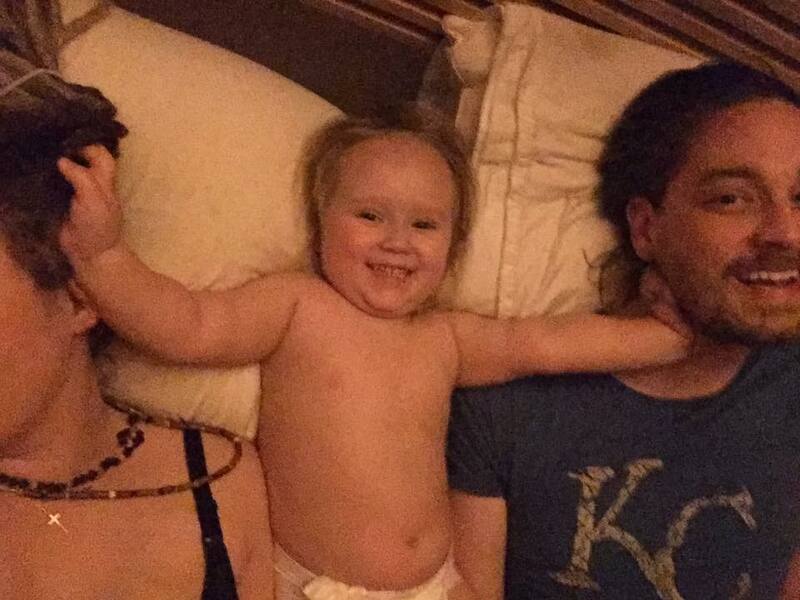 Here are some real life photos of families co-sleeping with their children! 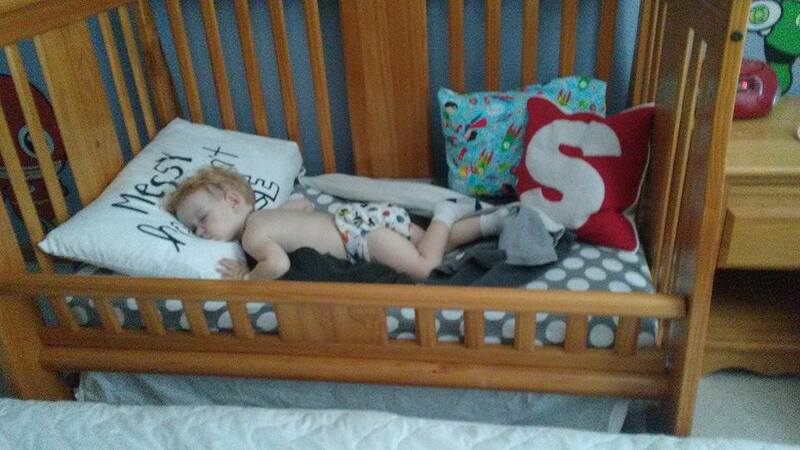 The Co-Sleeper: You can purchase sleepers to go directly next to the bed for easy access. 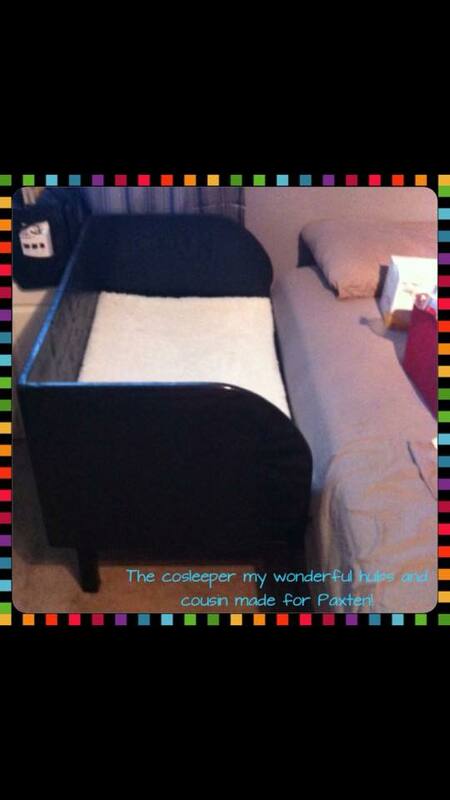 The Sidecar: You can push your crib with the front side removed against your bed. (Secure against a wall or you can stretch bungee cord under the crib to the bed frame to avoid open spaces where baby can slip). 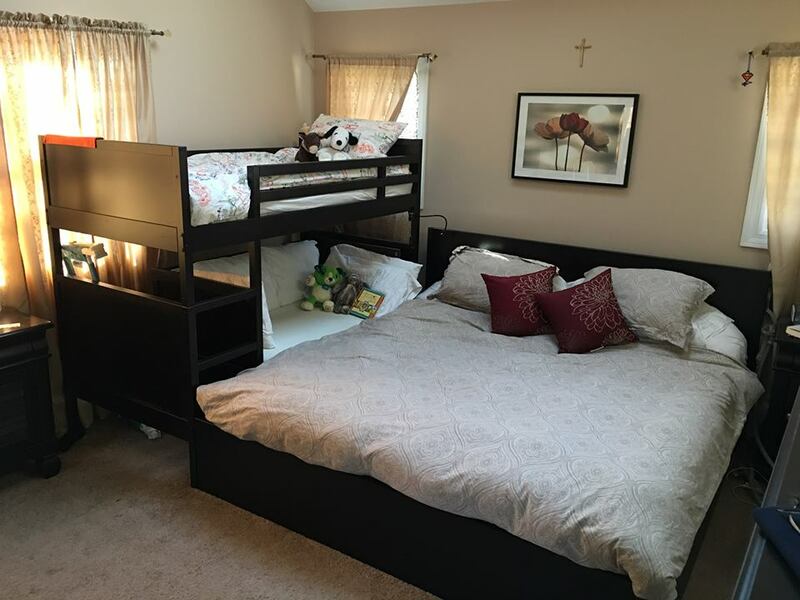 You can also place your mattress and crib mattress on the floor. If you are handy like Kellie Melissa’s husband you can make your own. Sidecar crib and bed rail for other side by Jana. 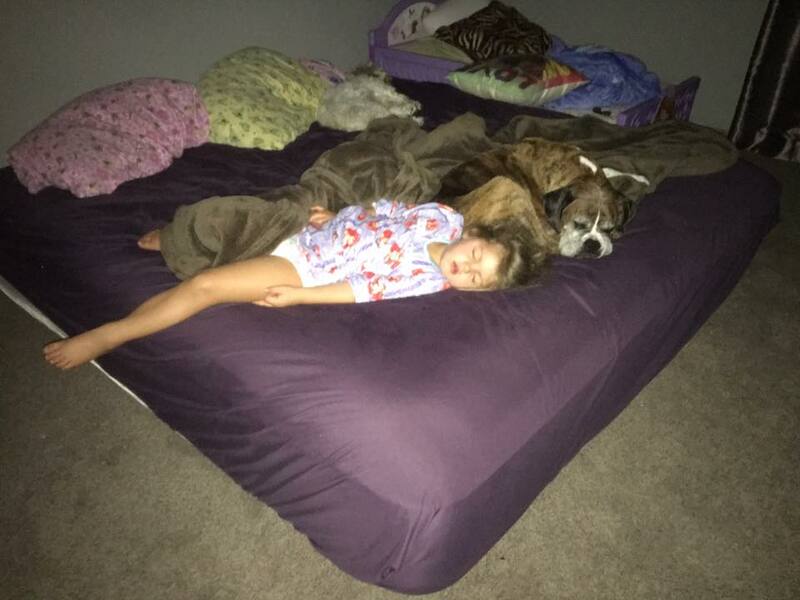 Brandi sleeps on a mattress next to the toddler bed to help with transition. 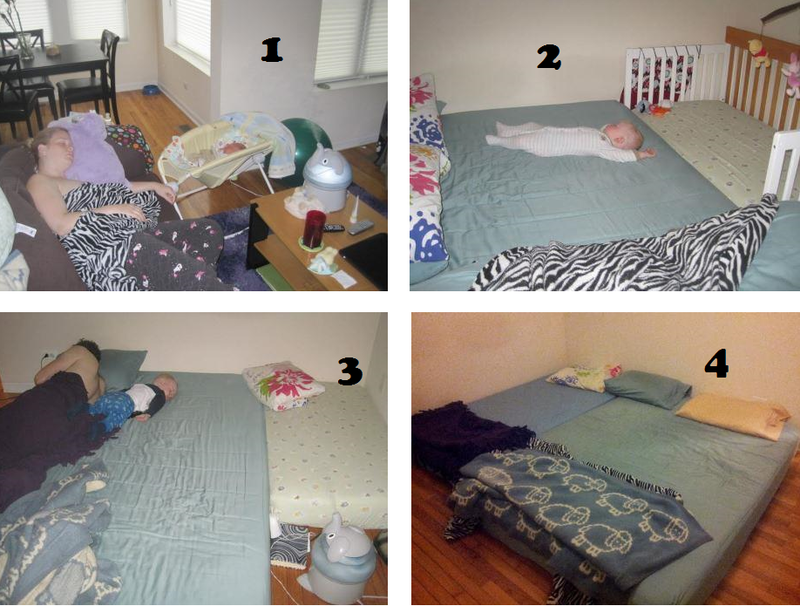 You can also look here for more photos of safe co-sleeping! 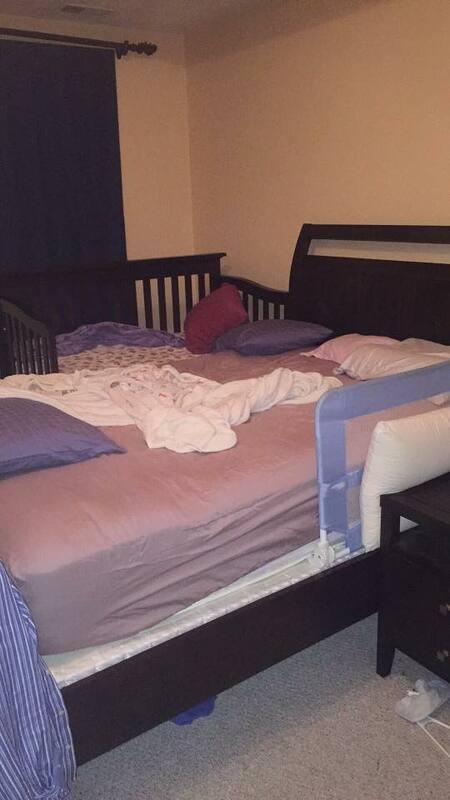 We cosleep by taking a curved changing table pad and putting it in the middle of our king size bed. I sleep on one side and dad sleeps on the other. 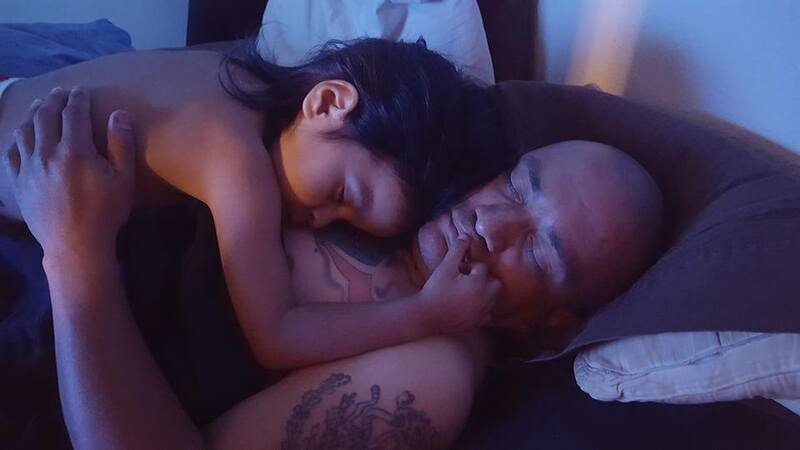 When he wakes up in the middle of the night dad wakes up to change him then he passes him to me to nurse him. 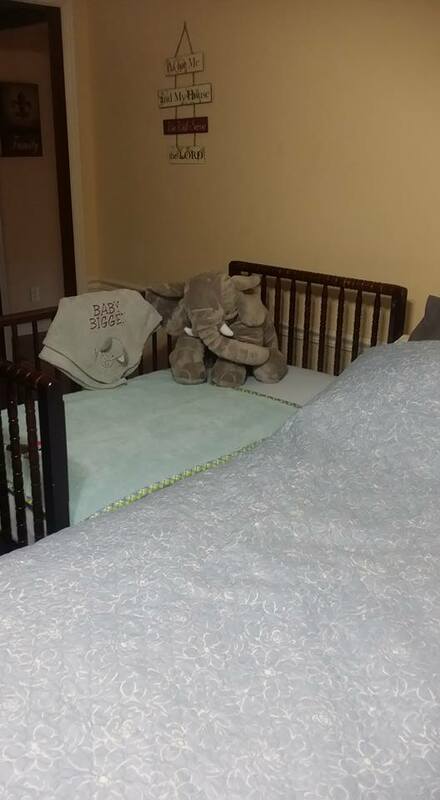 After I nurse him I put him back on the changing pad. We did the same with our first son but I exclusively pumped with him so dad was up on bottle duty most nights unless I had insomnia. 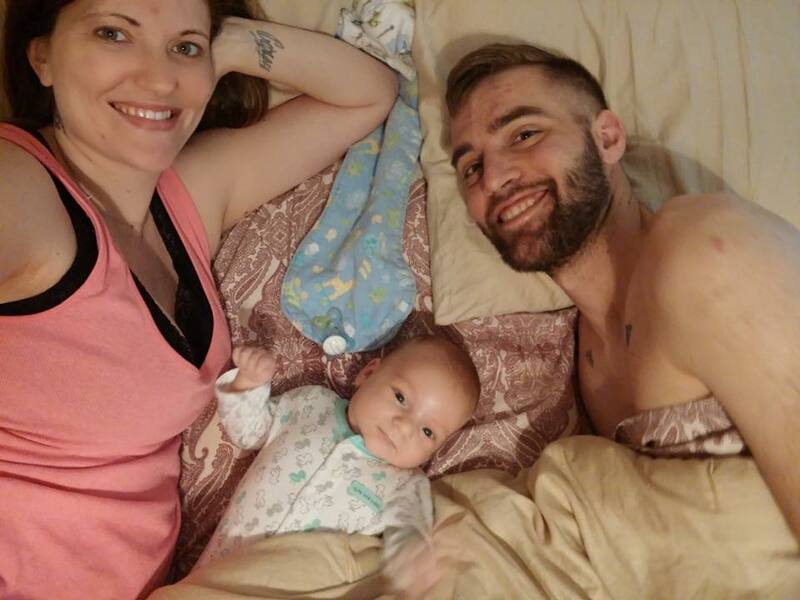 The cockblocking was real for a moment but luckily we have a bassinet in our room that he doesn’t mind sleeping in when daddy wants to hug mommy. 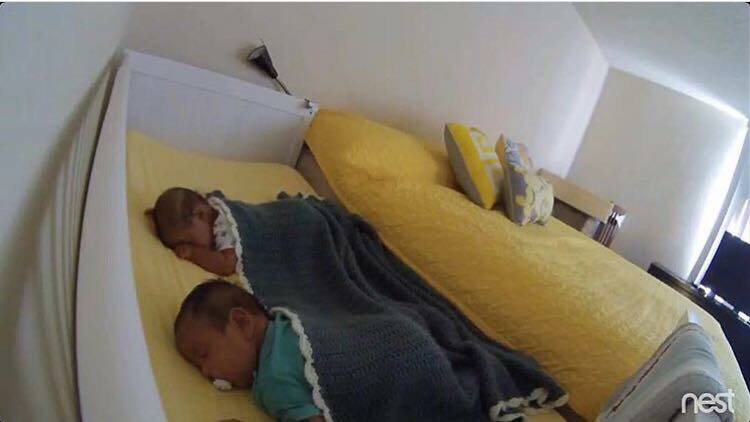 Big brother use to sleep below the changing table pad at the foot of the bed in the middle until we got him to start sleeping in his crib again. At 6 months the new baby will be joining his brother in their room in his very own brand new crib! I had a question for you.. I have a new nursling, she’s 5 weeks old and on the occasion that she’s fallen asleep while nursing sleeps so well with me. 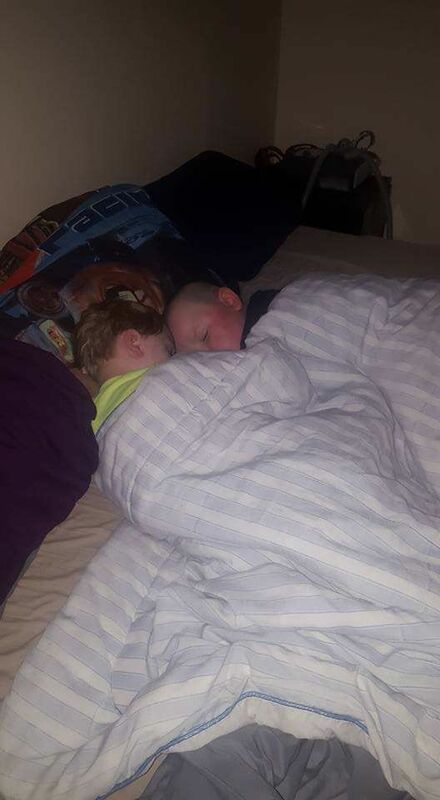 I did co-sleep with her brother for 5 months, we had a different bed though.